A comparison done by the Audit Office of the prices for 9 out of the 13 drugs quoted by IPA, Caribbean Medical Supplies and ANSA McAL Trading against those of the successful supplier, HDM Labs. The latter’s prices were significantly higher than at least two of the others. Instead of an agreed two weeks, New York-based firm HDM Labs Inc took six months to fully deliver on a contract valued hundreds of million for “emergency” pharmaceutical supplies sought last year by the Public Health Ministry, according to the latest Auditor General’s report, which also found that many of the prices quoted by the company were “significantly higher” than some of its competitors. 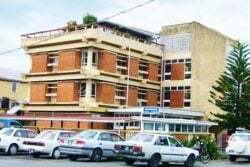 The report has also revealed that as at September 30th, the company was still owed $168.5 million but had made no efforts to collect the sum and as a result the Audit Office has said it will be scrutinising the contract award further. The award of the contract raised many questions, particularly given the dealings between the ministry and the supplier prior to the award of the contract. Despite the controversy, the subject Minister Volda Lawrence has defended it, saying that all the necessary procedures in the award were followed. The supplies included 27,040 bottles of metformin tablets, 63,804 of 2% lidocaine injections, 28,232 propofol 10mg injections, 19,651 vercuronium bromide 10 mg powder injection and 12,392 bottles of diclofenac tablets. According to the report, on April 28th, 2017, the Ministry wrote the National Procurement and Tender Administration Board (NPTAB) and requested approval for six suppliers – International Pharmaceutical Agency (IPA), Caribbean Medical Supplies, ANSA McAL Trading Ltd, Global Healthcare Supplies Inc., Meditron Inc. and HDM Labs Inc to be invited to bid for the pharmaceutical supplies, through the restricted method of procurement. The NPTAB granted approval in May, 2017 for the use of the requested method of procurement and tender documents were sold to all six suppliers. However only the IPA, Caribbean Medical Supplies and ANSA McAL Trading Limited tendered for the supply of the items. The tenders were opened on May 23rd, 2017 and were evaluated by the Evaluation Committee appointed by the NPTAB. “The Committee on the 14 June 2017 did not recommend an award since the members agreed that no tenderer met all the required evaluation criteria and they all failed to submit complete bids for all of the items,” the report said. The report informed that following this development, the Ministry wrote the NPTAB on June 29th, 2017, requesting approval to retender for the procurement of the items through the restricted method of procurement and from the same six suppliers. The suppliers were requested to submit their tenders no later than July 18th, 2017 and on that date, only one tenderer – HDM Labs – submitted a tender for the supply of the items. It was on this basis that the Evaluation Committee recommended that a contract be awarded to that company. Sharma’s report highlighted the higher prices quoted by the company. “We (the Audit Office) compared the prices quoted for each item by the approved tenderer with that quoted by the initial three tenderers to determine whether there was due diligence with regard to economy in awarding the contract. It was determined in… nine instances that the prices quoted by HDM Labs were significantly higher than that of the initial three suppliers,” it said. A list of the differences was included in the report and showed instances where HDM Labs’ prices were triple that of the competitors and in one instance, almost ten times more. The report noted that the contract, which was awarded on August 31st, 2017 by NPTAB in the sum of US$1,891,443 or Guyana dollar equivalent of $409.497 million, was signed on September 8th, 2017. The Auditor General made three observations which he were “unsatisfactory features” noted during the examination of the documents pertaining to the award. The second observation was that five cheques, in the sum of $283.811 million and representing 69% of the contract sum, were processed for the supplier, of which one payment for $17.194 million was paid on November 23rd, 2017 and charged to Line Items 6221 – Drugs and Medical Supplies. Three cheques, for amounts totalling $223.710 million, were paid in 2018 and charged to the amounts received via Inter-Department War-rants; the total paid to the contractor was $240.904 million, 59% of the contract sum. At the time of reporting, one cheque valued at $42.907 million remained on hand, the report said. It stated that the third observation was that though the supplier fully satisfied the requirements of the contract in March, 2018, “there was no evidence at the time of reporting, that the ministry took steps to settle its indebtedness of $168.593 million, or 41% of the contract sum, to the contractor. In addition, no evidence was provided that after six months of delivering the items, the supplier demanded the remaining balance… from the Ministry.” In this regard, the report said, the Audit Office, will conduct further scrutiny of the awarding and execution of the contract. 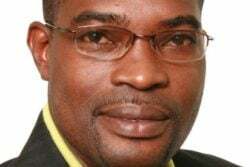 Lawrence, in an address to the National Assembly in July, maintained that the award was above board, while cautioning persons to not sensationalise the issue. “I wish to remind this Honourable House that in 2017, it was under this government that the procurement department [of the] Ministry of Public Health was established to ensure that there was segregation of duties, transparency and accountability in the procurement of items and services for the Ministry of public Health while ensuring that the ministry followed and adhered to the regulations and procedures stipulated by law,” she had said. 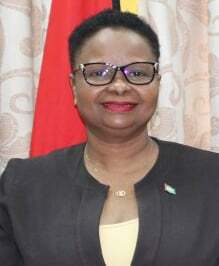 The Ministry’s Permanent Secretary, Collette Adams, had written to the NPTAB in June to seek permission for drugs to be single-sourced from HDM Labs Inc. Letters seen by Stabroek News show that Adams wrote NPTAB Chairman Berkley Wickham on June 19th, 2017, seeking approval for the single-sourcing of the drugs and on June 20th, 2017, she wrote to HDM Labs Inc.’s US-based Guyanese head Hardat Singh confirming the award, although she had not been granted approval for single-sourcing. Three days before writing to Wickham for approval, a request was sent to Singh for a quotation for the supply and delivery from a list of pharmaceuticals supplied. It is unclear whether similar quotations were sought from other potential suppliers, including the companies that had previously bid for the contract. Adams’ June 19th letter sought to justify the single-sourcing by explaining that none of the bidders who had been considered during a previous tendering process in May had qualified. Additionally, her letter stated that HDM Labs Inc. has “great capacity” in delivering supplies to the Ministry of Public Health within a timeframe of two weeks; that HDM Labs Inc. is a “recognized and efficient supplier” countrywide; that HDM Labs Inc. has its pharmaceutical supplies registered with the Food & Drugs Department in Guyana and the Food & Drugs Authority in the United States of America; that HDM Labs Inc. has its broker to clear consignments; and that HDM Labs Inc. has supplied pharmaceuticals to Georgetown Public Hospital Corporation (GPHC) using all Standard Operating Procedures. While the June 20th letter informed Singh that he was awarded the contract, Adams then wrote to Wickham again on June 29th, 2017, for the procurement to be retendered using restrictive tendering, with the six suppliers being identified as ANSA McAL, IPA, Global Healthcare Supplies Inc., CMS, Meditron Inc. and HDM Labs Inc.
Adams subsequently told this newspaper that the contract was tendered three times. “…Because of an emergency, we were trying to go sole-sourcing. Tender board said no and annulled the sole-sourcing. So, the sole-source never happened. We went back to restrictive again. One person respond, so what is the problem? Three times we go with this thing,” she had explained.